Kaleidoscope is 10 years old this year – we have been providing virtual assistant support to executive coaches, non-exec directors and other high-level clients since 2008. To celebrate I wanted to give something back to the community in which I have been able to thrive, not only as a business, but also as an individual. 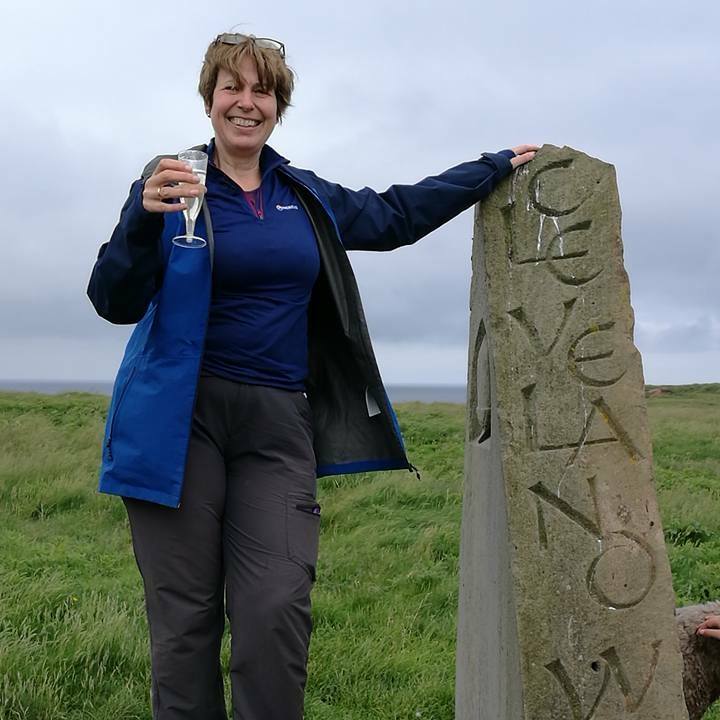 I challenged myself to walk the Cleveland Way, just over 100 miles, and I set a target to raise £10,000 for two amazing York charities that help young people in need. To make it more difficult I chose to wild camp – crazy I know, and I was very nervous about spending hours alone in a tent in the pitch dark with only the local wildlife to keep me company (I took ear plugs). I also carried everything I needed for the seven-day trek, this weighed about the same as five family-sized bags of potatoes – no easy feat for a desk jockey like me. I’m proud to say that I did it. I walked 109 miles, I raised £10,089 for two York charities that help vulnerable children and young people to thrive and to grow into happy and resilient adults, and I celebrated my anniversary at the end with a bottle of bubbly! The charities were The Island (who enhance the quality of life for vulnerable children and young people in York) and SASH (who work to prevent homelessness in young people in York). These two charities are very close to my heart. Huge thanks go to everyone who supported me, financially, emotionally and practically. I couldn’t have done it alone. I’m on a mission to grow my business and to help people do more of what they love. I want to help our clients achieve and enjoy so much more in life and work by providing them the right PA support. I’ll also be joining the volunteer team at The Island. And I’m busy writing ‘How To Be A Thousandaire’, a book about how micro business owners can create a lifestyle that feeds their soul as well as their wallet.